This series of low profile 5 Watt AC to DC switchers come in 7 different models. These units offer high efficiency and precise regulation throughout the operating temperature range of -25º C to +70º C ambient, with no heat sink or electrical derating required. 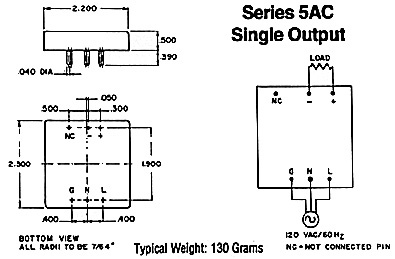 The 5 AC Series keeps a maximum of 0.500" height while still offering you 1200 volts RMS isolation in a rugged encapsulated case. 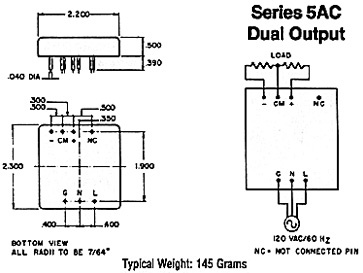 The convenience of PC mounting and the availability of dual outputs should aid your circuit design.